This Sunday we should see 2 Smart Source inserts and a Pepsico Moments to Save Insert. 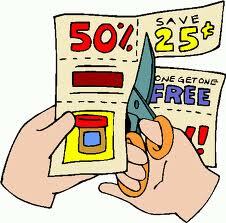 Check out the complete list of coupons at Sunday Coupon Preview . Note coupon inserts do vary within each region but its always nice to see what we could be getting for planning purposes. Weusecoupons.com has some great deal scenarios for every store you could possibly shop! Take your time and flick through the deal scenarios with your coupon stash.